Bauer uses found images as a starting point for drawings realised as site-specific installations that combine works on paper with illustrations rendered directly onto the walls of the gallery space. While Bauer may take inspiration from a photograph of a historical event, a film still, or an image found on the internet, his drawings are not an exact replication or facsimile. Rather than duplicating a photograph, Bauer instead develops it into something else. Drawing from memory, he creates a world complete with fictional characters and narratives, embedding them in a familiar representation; allowing the viewer to witness an alternative existence through the subjective lens of his own experience. 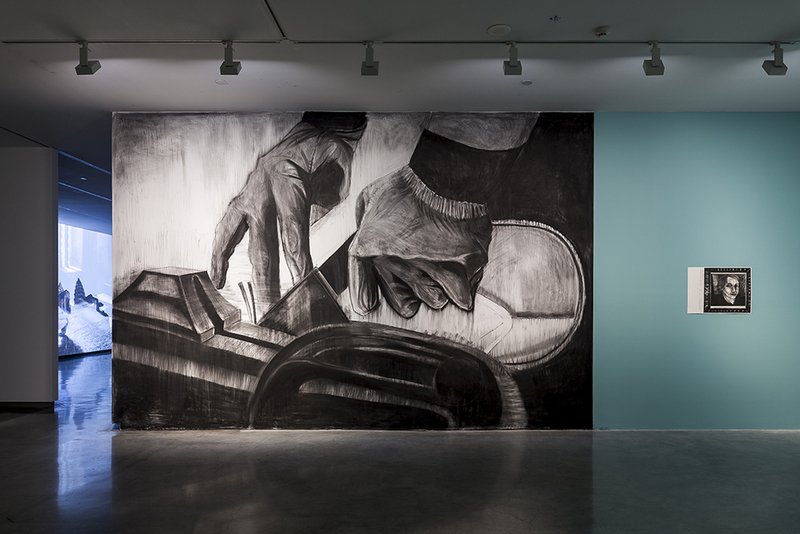 At the Museum of Contemporary Art Australia, Bauer presents an installation featuring Arsenal, Shipyard, Brest, Brittany, France, 2018, a site-specific wall drawing, alongside ‘A Brief History of Emancipation’, 2018, a series of works on paper, and Diary, Madam F.C., 2017, sixty pieces of hand-made faience. Bauer’s installation is inspired by interviews conducted in Quimper and Brest, two towns located in Brittany, France. Bauer spoke to women who worked at a naval shipyard, a fish processing plant, and a ceramics factory and painting atelier, from 1960 to 1990; places of employment where the workforce was largely dominated by men. The ceramic installation relates a fictional narrative about a woman who worked in a shipyard in Brest – a location well known for the construction of French Army warships. 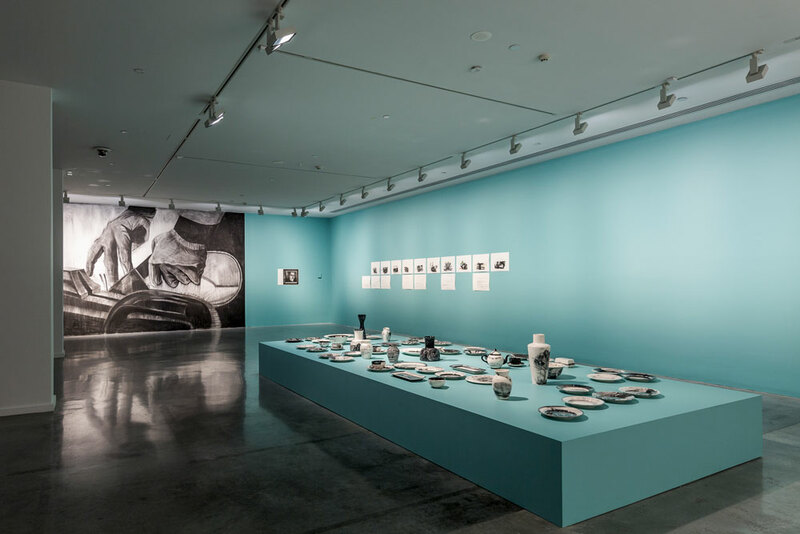 Bauer has hand-painted the pots, plates and other ceramic objects with monochromatic images and text that reveal intimate vignettes of everyday domesticity. The accompanying works on paper and site-specific wall drawing provide context derived from the lives of the women Bauer interviewed; articulating their struggle for emancipation and better working conditions.